Overlooking the stepped embankments of the Loire River, 130 hectares of Château Moncontour make for one of the oldest and storied estates in Touraine — a Loire Valley sub-region where the namesake river meets two of its main tributaries: the Indre-et-Loire and Loir-et-Cher. Dating to the mid 15th-century, the Renaissance-era château was built by King Charles VII as one of the many gifts lavished on his courtesan, Agnès Sorel. Euphemistically known as ‘Dame de Beauté,’ the striking appearance and courtly influence of Agnès was one bookend in the life and fortunes of the king; the other came disguised as a boy, but was a young country maiden, Jeanne d’Arc — aka ‘La Pucelle d’Orléans.’ Her religiously-inspired military campaign to challenge the occupying English armies was a deciding factor in Charles’ quest to resecure his crown and fractured lands. Among many other tales linked to the Moncontour estate in the ensuing ages is the partial destruction by fire during the French revolution, and then becoming an elusive fascination for the 19th-century author, Honoré de Balzac, who featured its twin white turrets and brambled riverbanks in his published, personal writings — perhaps, while giddily inspired by the bottled bounty of its vineyards! As with most Crémant, this week’s effervescent bottling has been produced by a double fermentation process generally referred to as méthode Champenoise, though, in the 1980’s the term was made proprietary to only wines originating from the Champagne AOC in north-eastern France. This was justified to guard the distinct typicity of the region’s sparkling wines but doesn’t directly infer a greater level of quality. Moreover, the highly- variable pricing for bonafide Champagnes tends to be among the most arbitrary of all premium wine styles in France – frequently more informed by what the market is willing to pay rather than how much effort has been invested by the vintner. 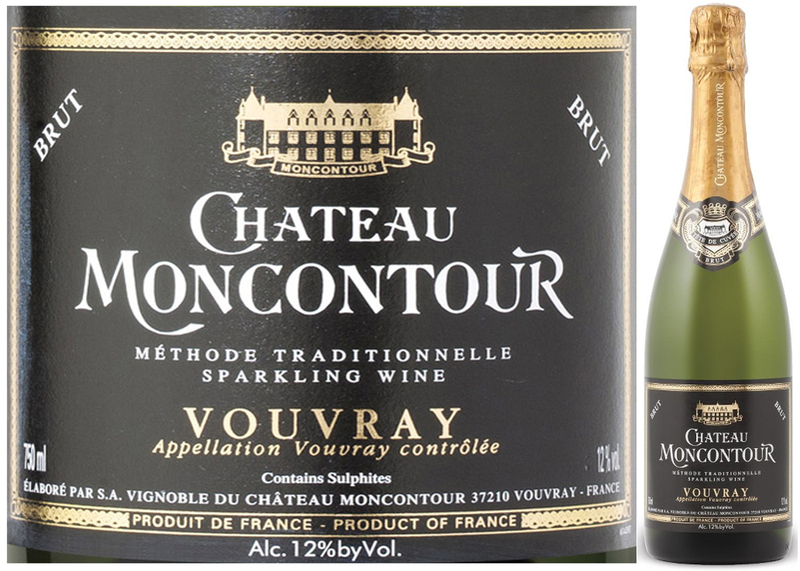 This week’s DéClassé feature of Château Moncontour Tête de Cuvée Brut is fashioned with 100% Chenin Blanc grapes sourced within the Vouvray AOC boundaries and finished in an equivalent winemaking manner called méthode traditionnelle. 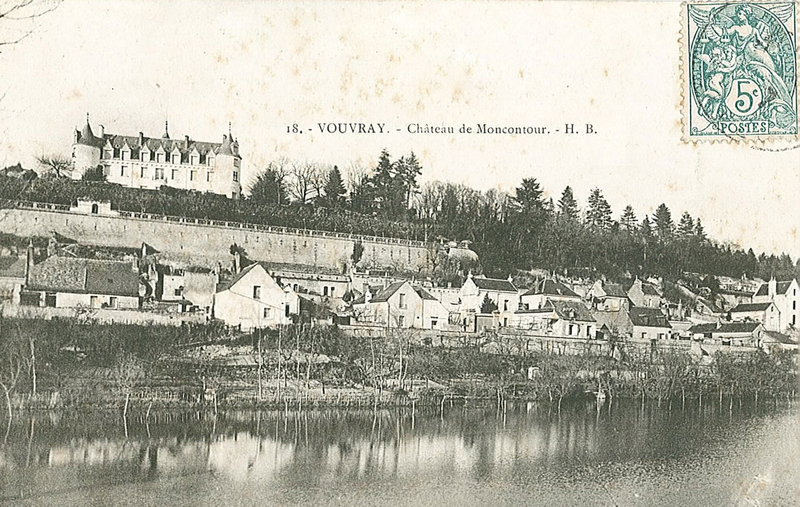 Moncontour’s current custodial vintners are the Feray Family, who since 1994 has been drawing Chenin Blanc fruit, aka Pineau de la Loire, from numerous small plots dotted around the village of Vouvray. Influenced by the sedimentary rock and clay soils that are typical of the Touraine, this local cultivar imparts a distinct minerality along with a high level of acidity – making it an ideal base for the pétillant (sparkling) versions of Vouvray. Having spent at least 12 months ageing in the bottle before disgorgement, final corking, and release, this is so modestly priced that you will chide yourself endlessly for not having bought more before having to wait again until next January! This wine’s straw-yellow colour, apricot and pear aromas, some nutty and baked brioche notes, and a very lively mousse make for a refreshing counterpoint to the winter blues! Try as an informal apéritif or with lighter fare such as goat cheese tartlets, pâté and seasoned bread crisps or alongside a selection of moderately spicy, Asian appetizers.